Be careful when wearing stripes! They can be visually distracting and unflattering to the figure. Coordinate two to three colors that work well together, keeping in mind the location of where your portrait will be displayed. For example, if your wall portraiture will be hanging in a living room adorned in neutral, light colors, you may want your attire to also include light colors, complementing the living area. Avoid all white or all black clothing. Shoes are super important! Tennis shoes are distracting; choose clean, well-polished shoes. Once you've decided where you want your portrait to hang and what colors would look best in that location, start with one person, such as Mom and build outfit choices based on her attire. Stick to one outfit per person! If you want to add to your overall look mid session, bring a hat, scarf, vest, different shoes, etc. It will be a quick change. Doing so will add a new pop of color or texture and can dramatically change the look of the portrait! Choose two to three colors to coordinate between family members. For example: tan, olive green and denims would be a good lighter, softer tone. Dark Green, navy and burgundy for darker tones. Limit patterns. You can definitely throw in a patterned dress that has all of your colors in it but try to have only one loud pattern mixed with solids or subtle patterns. 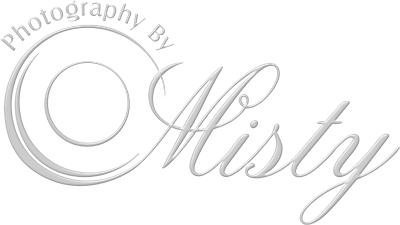 When preparing for your Photography By Misty portrait session, lay your clothing choices out on a bed to see how well it goes together, take a pic and send to Photography By Misty (Jenny@PhotographyByMisty.com or Misty@PhotographyByMisty.com) for approval and advice!